First, the theater army main CP is regionally focused. It is not a “pooled” headquarters. It remains the senior Army headquarters for the theater and does not deploy to another theater. Second, the theater army provides administrative control (ADCON) over all Army forces assigned or attached to the GCC and controls Army support to joint, interagency, and multinational elements as directed by the GCC. The theater army performs the latter continuous task regardless of whether it also controls land forces in a major operation. Third, the theater army provides a command and control capability to conduct major operations. As operations continue, the GCC, JTF, or Army commander may need to augment the main CP and OCP based on the factors of METT-TC. The theater army design provides its commander with sufficient command and control capabilities for the initial phase of any campaign, while providing a flexible platform for Army and joint augmentation. 2-10. Units enter the reset/train force pool when they redeploy from long-term operations or complete their planned deployment window in the available force pool. Generally units in reset/train are not ready to conduct major combat operations. However, they may be used to provide defense support to civil authorities including homeland security, humanitarian assistance, disaster relief, and consequence management operations. In reset, units perform recovery, reconstitution, and equipment reset and recapitalization; receive and integrate new personnel; execute their institutional training support plan; and complete change of command property accountability actions. 2-11. The ready portion of the force pool consists of those units assessed as ready to conduct higher-level collective training and prepare for deployment. Training and preparation in the ready force pool focuses on mission-essential training. 2-12. The available force pool consists of those modular forces and headquarters deploying for an ongoing operation (deployment expeditionary force packages), or available for immediate alert and deployment to a contingency (ready expeditionary force packages). Ready packages become contingency expeditionary force packages when they move into the available force pool. Units in a contingency package may be reassigned to a deployment package or may deploy with their assigned division headquarters as part of a new ready package as part of a contingency operation. 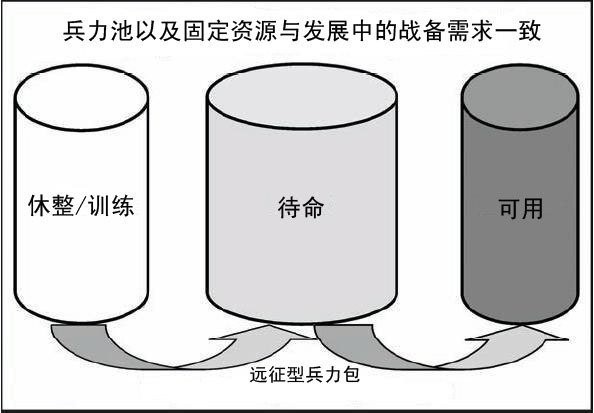 At the end of their time in the available force pool, units rotate back into the reset/train pool, and the cycle begins again. Nontransferable command authority established by title 10 (“Armed Forces”), United States Code, section 164, exercised only by commanders of unified or specified combatant commands unless otherwise directed by the President or the Secretary of Defense. Combatant command (command authority) cannot be delegated and is the authority of a combatant commander to perform those functions of command over assigned forces involving organizing and employing commands and forces, assigning tasks, designating objectives, and giving authoritative direction over all aspects of military operations, joint training, and logistics necessary to accomplish the missions assigned to the command. Combatant command(command authority) should be exercised through the commanders of subordinate organizations. Normally this authority is exercised through subordinate joint force commanders and Service and/or functional component commanders. Combatant command (command authority) provides full authority to organize and employ commands and forces as the combatant commander considers necessary to accomplish assigned missions. 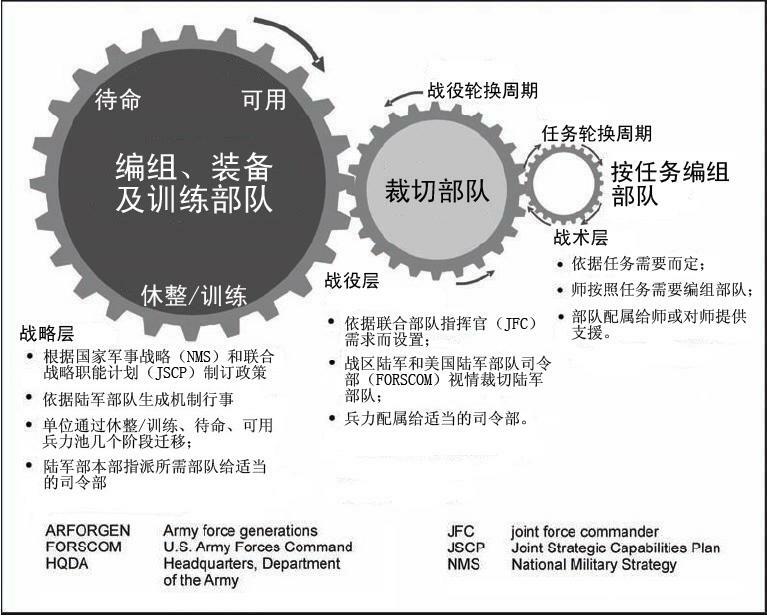 Operational control is inherent in combatant command (command authority). Also called COCOM. Command authority that may be exercised by commanders at any echelon at or below the level of combatant command. 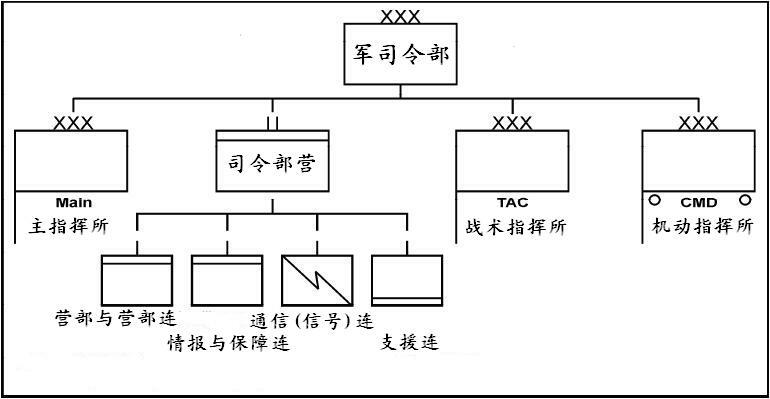 Operational control is inherent in combatant command (command authority) and may be delegated within the command. Operational control is the authority to perform those functions of command over subordinate forces involving organizing and employing commands and forces, assigning tasks, designating objectives, and giving authoritative direction necessary to accomplish the mission. Operational control includes authoritative direction over all aspects of military operations and joint training necessary to accomplish missions assigned to the command. Operational control should be exercised through the commanders of subordinate organizations. Normally this authority is exercised through subordinate joint force commanders and Service and/or functional component commanders. Operational control normally provides full authority to organize commands and forces and to employ those forces as the commander in operational control considers necessary to accomplish assigned missions; it does not, in and of itself, include authoritative direction for logistics or matters of administration, discipline, internal organization, or unit training. Also called OPCON. Command authority over assigned or attached forces or commands, or military capability or forces made available for tasking, that is limited to the detailed direction and control of movements or maneuvers within the operational area necessary to accomplish missions or tasks assigned. Tactical control is inherent in operational control. Tactical control may be delegated to, and exercised at any level at or below the level of combatant command. Tactical control provides sufficient authority for controlling and directing the application of force or tactical use of combat support assets within the assigned mission or task. Also called TACON. direction or exercise of authority over subordinate or other organizations in respect to administration and support, including organization of Service Forces, control of resources and equipment, personnel management, unit logistics, individual and unit training, readiness, mobilization, demobilization, discipline, and other matters not included in the operational missions of the subrodinate or other organization. Also called ADCON. 3-17. The EECP enables the theater army commander to project a small, easily transportable by air, deployable operations center into an area of operations (AO). This EECP has limited capabilities and is not resourced for extended operations. It provides an austere, but functional, capability from initial entry to the arrival of the rest of the OCP from its previous location. It consists of seven cells and other capabilities provided as necessary by the factors of METT-TC. EECP personnel possess a wide range of skills and each individual trains to be multifunctional staff officers outside the competency of their basic branch or specialty. The OCP TOE designates those individual positions normally constituting these cells.